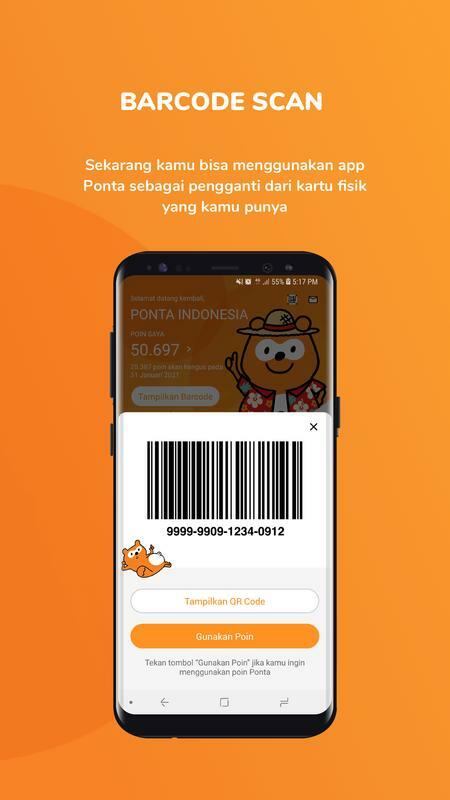 Ponta is a membership program that can be used by a number of related merchants, as a appreciation from merchants to customers. 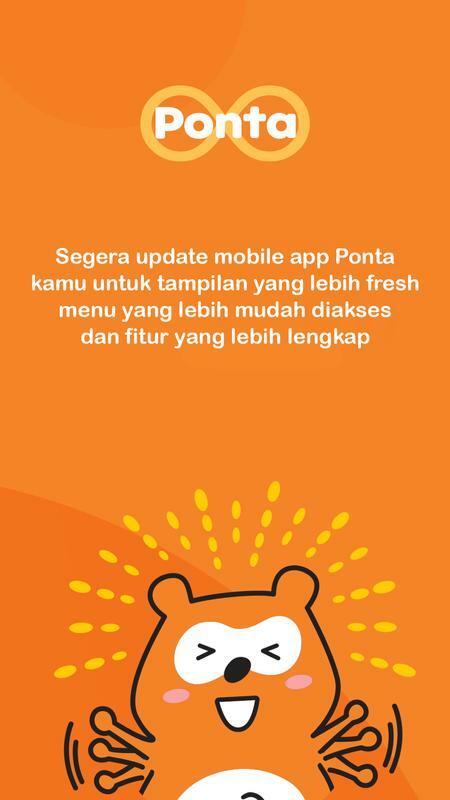 Ponta makes easy for customers to continue shopping merchants, and collect point while shopping. Point can be exchanged for certain periods and for certain events. 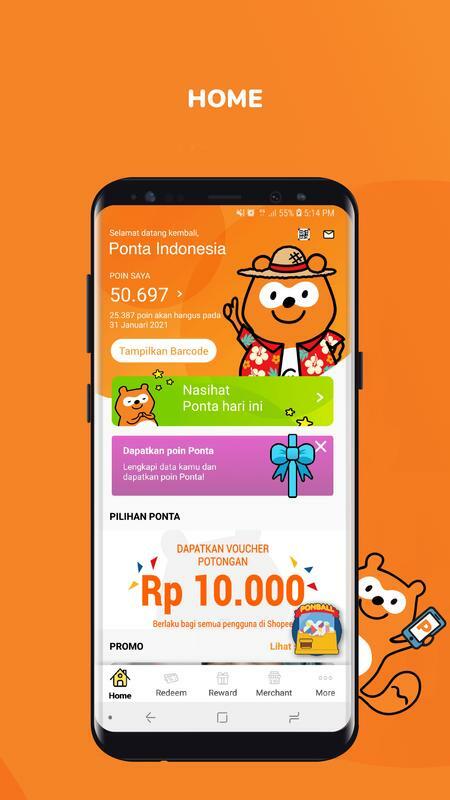 In this Ponta Indonesia application, customers will be able to see the point balance of their Ponta account, which they collect by doing transaction in merchantas and get the latest updates about the shopping information available at each related merchants. 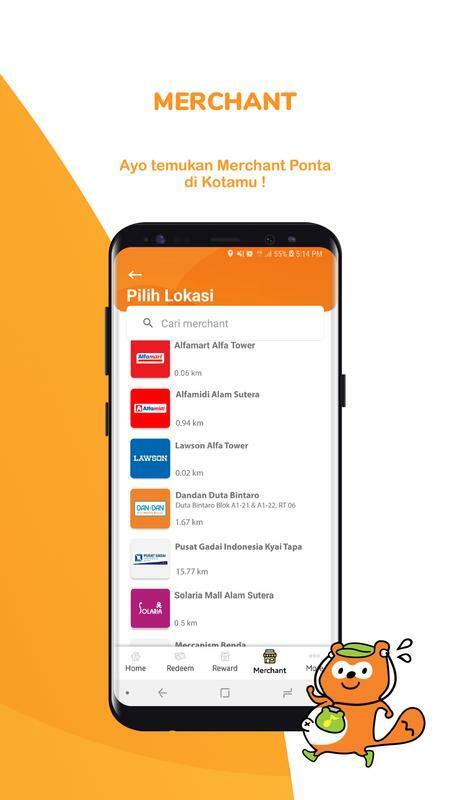 P: "Aplikasi ponta lu banyak pesan yang belum terbaca kan?" 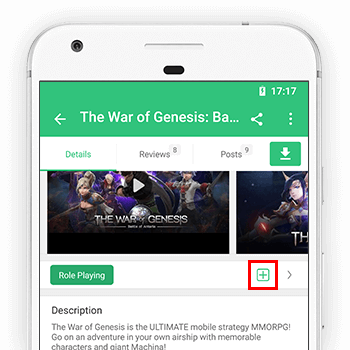 P: "Selo, katanya ada fitur 'Tandai semua telah dibaca' "
T: "Wuih mantep. terus apa?" 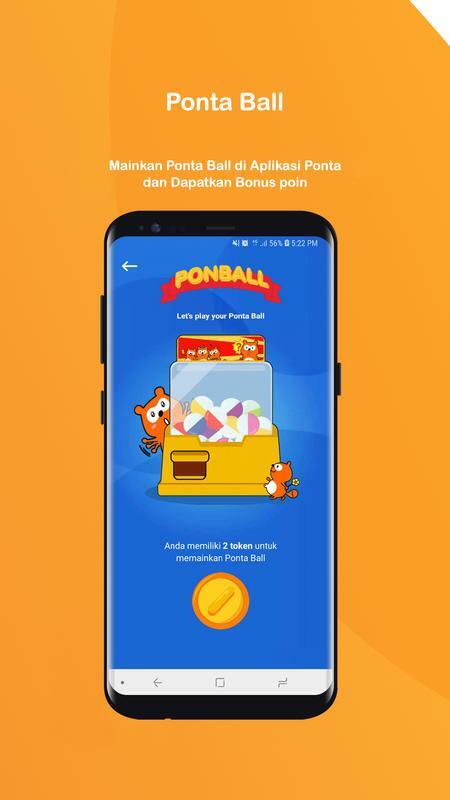 P: "Sekarang ada Leaderboard juga di Ponta Ball, jadi makin semangat buat main"
T: "Gue jarang main, tapi boleh juga"
P: "Satu lagi, kalo ke Jepang bisa pakai wifi gratis. Bebas banget buat update nanti"
T: "Siap, tau banget lu gw anaknya selalu update ya"